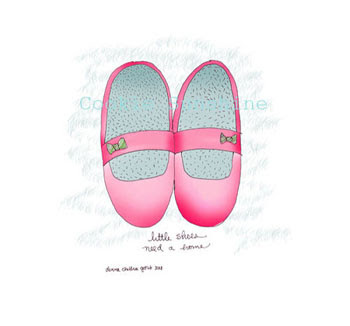 "Little Red Shoes", an illustration by Cookie Sunshine, is up for grabs in a contest. Just visit The Cookie Sheet blog to see how you can win these delicious shoes...and other illustrations. Cookie has a lovely sense of line and whimsy in her art. They are soft & delicate and wonderfully detailed and are perfect for disappearing into when you need a break from your day. See more of her art at www.CookieSunshine@Etsy.com. I've been drawing more recently, just quick little sketches which will eventually be available to you in my MomsArt.etsy.com shop. But for now, check out what Cookie has goin' on...and maybe win something grand. 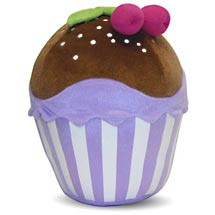 And I got my cupcake pillow today...see previous post...and it is just wonderful! I love the purple stripes. I'm so excited...I received my first consignment check for half of the jewelry I sent to a Manhattan salon & gallery. It was a total surprise to receive it in the mail...and it was $7 less than the external hard drive I was just leaving the house to buy to house all my business computer backups...perfect! soooo many times between possibilities and loved every hour...I mean, minute of it! Since I've focused so heavily on cupcake jewelry (and confetti & stickers) I thought for the new batch, I'd get some of my cupcake photos on the new cards. 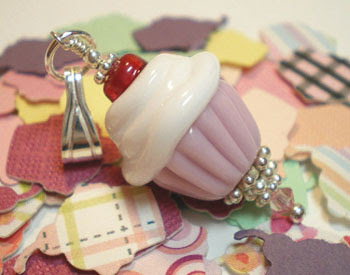 these are my Buttercream cupcake earrings. 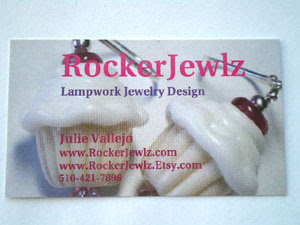 This time I have cupcakes on the front for RockerJewlz jewelry and a pink handpunched sticker on the back for my paper goods shop, MomsArt on Etsy. via Paypal from my computer. It's WONderful not having to drive up to the post office now. It's only a couple of miles, but hey, that's 45 cents each trip whereas I can now just walk down the street and drop my package in the post office box. I'm working on a few more sets for the salon/gallery that will include summery pieces as well as some experimental pieces with Lezlie Belanger's amazing black & white beads I've been playing with. I'm going to be toying with wirelace, hand dyes silk ribbon and charms to do what I've had in my head a long time but wasn't challenging myself to try. I've not seen this fabulous purple striped cupcake PILLOW before! I discovered it at Target.com but it was out of stock and the bed linens are on clearance so who knows if it will ever come back. But I found it again at Wal-mart.com for less than $13 and it measures 9x9x11 inches and is velour. Purple is one of the two colors for RockerJewlz and Cherry on Top earrings are my biggest sellers so this pillow really pulls that all together. Now, I design elegant cupcake jewelry and love just about anything cupcake but try to never get too corny about it...but this pillow just called my name and I had to get it. It's not like it will go with my bedroom decor or anything but a friend mentioned it could make an excellent jewelry or confetti prop. And check this out: you can order it online and if you live in the right area, it will be shipped to your local store FREE where you can pick it up. We'll all find out together how I end up using it. On a separate cupcake issue, I had a heck of a time finding appropriate sterling bails from which to hang pendants and charms I've begun adding to my jewelry line. There are a lot of heavily detailed ones but they really distract from the cupcake bead. 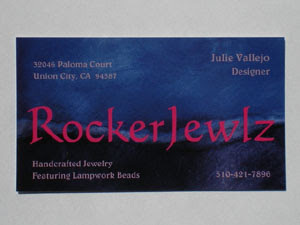 I finally scored some real beauties so be on the lookout for those at www.RockerJewlz.com & www.RockerJewlz.Etsy.com. 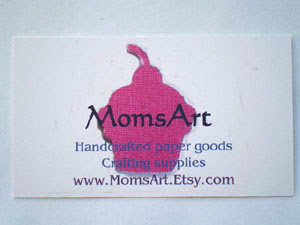 The pendant above is the Cherry on Top pendant atop my hand punched cupcake confetti & stickers, available at www.MomsArt.Etsy.com. Okay, I'm starting to sound like a commercial. I'll move on by saying I've got an inside scoop of some really fun non-edible cupcake goodies (the only hint you get for now) that will hopefully be available in the September/October time frame if all goes well. So, check back for updates on that and meanwhile, eat yourself a cupcake.